1) Who can help me with problems related to the software? At first you can have a look at our online help center. Here you will find a pictorial guideline of the program functions. In addition the category “questions and answers” provides solutions for technical issues regarding program and planning settings. Furthermore we have compiled a playlist of videos on various topics, which can be found on YouTube as well as in our help center. 2) Do you run any courses for working with pCon.planner? We offer pCon.planner training courses based on standardised modules, which can also be adapted to individual purposes of your company. In addition we provide seminars for advanced users of pCon.planner to deepen your knowledge in a targeted manner. If you are interested in any kind of training, feel free to contact us. We will be happy to offer a customized training. 3) Does pCon.planner also work in the Mac systems and with Mac OS X? At present we do not offer a version of pCon.planner for Mac OS. Windows virtualization software like Parallels, VMWare, etc will, however, provide a possible workaround. Please note, that we do not offer any support for the use of BootCamp or Windows virtualization. 4) Where can I find accessories or 3D models to complete my planning work? In pCon.planner you are able to directly access pCon.catalog with its various customer catalogs and 3D warehouse. Find everything you need for complete and realistic planning work, ranging from a file shelf to house plants. You can also use CAD models from other web platforms if they conform to the formats used in pCon.planner. 5) Can I optimize the performance of pCon.planner? Especially graphical hardware from Intel can cause some performance problems, if the hardware is older than 3 years. There are a number of ways in which you may be able to improve the performance of the design application. For detailed information please visit this topic in our help center. 6) What can I do if certain objects in my planning are no longer visible? If graphic rendering problems are not the reason, you should check whether all layers are activated or not by using the Layer dialog. This is found by clicking the Layer symbol on the toolbar. How to influence the visibility of a layer can be read at this topic in our help center. 7) Are there any ways of reducing the amount of disk space needed by a planning in pCon.planner? There are a number of possibilities offered in pCon.planner to reduce the disk space requirements of a planning and minimize the size of the file. Use the Purge function in the Application Menu and then re-save your design. This will remove certain background elements which are still contained in the design but no longer required. The Level of Detail which has been set can also have a significant effect on the performance during the work on a design and will affect the size of the file. You can specify the level of detail in the general settings in the tab „miscellaneous“. 8) How can I arrange the toolbar in pCon.planner according to my wishes? All the important tools and toolboxes for pCon.planner are included in the Toolbar. It is along the right-hand edge of the working area. For each icon of the Toolbar, a click will open the relevant window. The tool will open in a new window when the corresponding button on the Toolbar is clicked. Most of the windows can be used either as a floating or a docked element. “Floating” means that the tool appears as a window that can be placed anywhere in front of the working area. Read more about how the windows can be fixed to the edge of the working area at this topic in our help center. 9) Why is the graphic user interface in pCon.planner 7 kind of blurry? The visualization of the user interface can be disrupted on some systems, so the operating elements will look kind of blurry. Windows uses an automatic scaling process to adapt these operation elements to the required screen. In the latest generation of monitors, which in some cases have very high pixel density (number of pixels per inch, DPI), this fact may cause the icons in pCon.planner to appear larger but less distinct. It is possible to disable this automatic scaling process at the application level. For more information please visit this topic at our help center. 10) While printing an image in layout mode the lines are somehow very bright. Why? This is a normal condition based on the resolution, which has been set for the image. The higher the resolution, the finer and lighter the lines are displayed. In the printing options the screen resolution is set to 600 dpi by default. If you choose a lower resolution, the lines will be darker but also the quality of the image deteriorates. Since February the “questions and answers” catalog is also available in English. 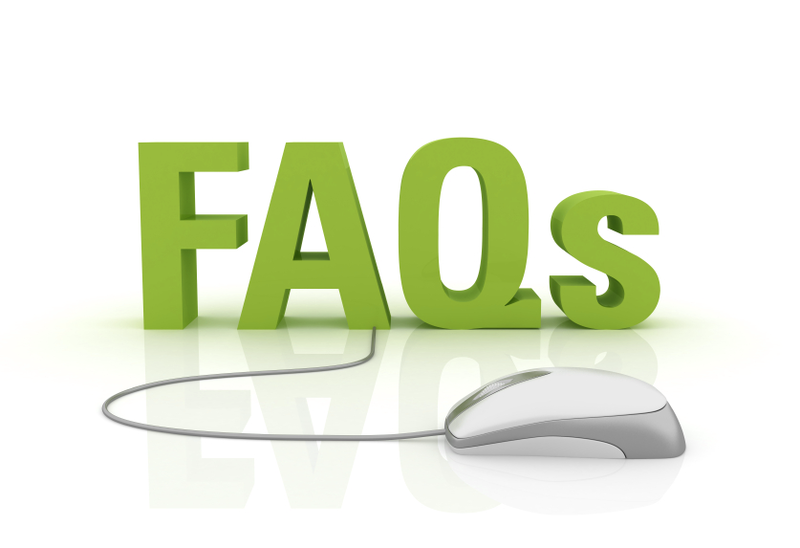 At the moment you will find a collection of the most popular frequently asked questions. During the following months we want to persistently enrich this compilation. Are there further questions? We will be glad to help you! Just write a comment! This entry was posted in 3D Models, Do you know?, Education, General, Help Center, Presenting, Room Planning, Technical Information. Bookmark the permalink. Can I draw floors without closed room? If you are using pCon.planner PRO you can use the Split Room command to create different floors within one room. In pCon.planner you could use a rectangle or any shape you want from the drawing elements and fill it with any color or material you want. Hi I’m trying to introduce pcon to my colleagues at my new workplace but I’m trying to open a plan that is to scale in Autocad but when it opens in Pcon it’s huge!! Any suggestions? I can’t find anything useful on-line!! it sounds like there is a problem with the scaling unit. To solve this you need to change the “insert unit of the drawing”. To do so please open pCon.planner and go to “File” > “Document Properties” > “Settings”, and choose the unit that fits for your plan. Press “OK”, save the plan and open it again. It should be to scale now. Best wishes from your pCon-Team! Is there anyway of fixing a corrupt Pcon File? When I open the corrupt file it keeps closing unexpectedly and I can’t seem to save the file either. Is there anyway of saving the file? The following steps should help you open the corrupted file: Go to File > Purge > Recover. Alternatively, you can open the backup copy that should be in the same folder (file name starting with ~). I tried uninstalling and re-installing and the same message keeps popping up. Is it the intention of ever to release a MacOS version of Pcon planner! In any case a super program! Hey, sorry, there is no intention of releasing a MacOS Version of pCon.planner. But you can use our other tools like pCon.box and pCon.facts on your Mac in the Browser. Thanks a lot for the feedback!